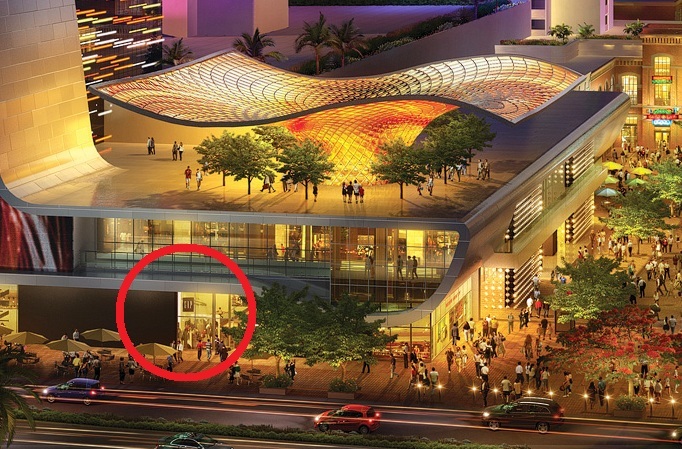 I was looking at this new rendering of Project Linq, and I noticed the building previously known as O'Sheas will be transformed into a GAP clothing store. Now, to be fair I'm sure that the actual clothing store brand that will be replacing O'Sheas hasn't been decided on yet, and the rendering just used GAP as a placeholder of sorts. I am puzzled why they would want to replace a casino with a clothing store though. Even if they wanted to remove O'Sheas they still could have replaced it with a newer, nicer gaming establishment. I guess this means retail is more important than drinking and gambling in Las Vegas nowadays. Shopping certainly has its place, but I think even O'Sheas haters would cringe at the thought of replacing it with a GAP. NOTE: It has been reported that the O'Sheas casino will be re-located to another part of Project Linq, most likely inside the Imperial Palace (which will be remodeled and re-named) so O'Sheas might live on in some form.